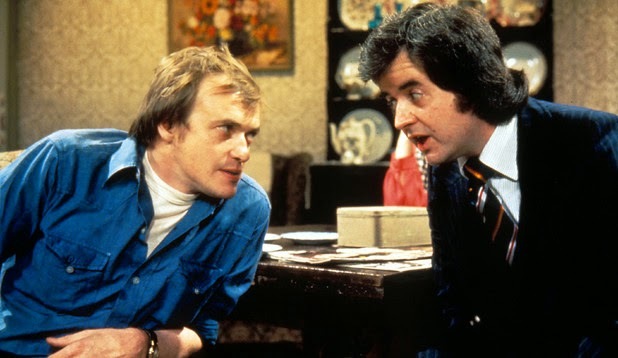 In 1973 an episode of Whatever Happened to the Likely Lads called No Hiding Place was first shown by the BBC. The basic plot, allowing for the usual ebb and flow of a superior sitcom, had Terry and Bob trying to avoid finding out the score of an England game before watching the highlights on TV. But that episode has become something of a relic. So many channels now show so many live games, so many websites provide so much 'unofficial' live coverage of an even greater variety of games. You can take your pick of the best betting apps to follow every corner, throw-in, free kick and attack of games around the world. You can follow live text commentary on Twitter and almost every newspaper website. The idea of locking yourself away from the world to wait for Sportsnight with Tony Gubba seems impossibly redundant now. I'm on holiday this week. I finished work at 5.15 on Monday evening. Sitting on the train south I decided I'd switch of my data connection and do without WiFi for the week. I wouldn't even lumber Hibs with the added burden of a fiver placed on my favourite betting app as they made the daunting trip to Ibrox. I'd had enough of the internet and everything in it. I had to check twitter. Fling your hat in the air and skip down platform three at Newcastle station. Destination one of the trip reached, I watched the last 15 minutes of the game. Breath held every time Rangers entered the Hibs half. Hibs did their job. And I had failed to turn my back on digital connectivity. I'd lasted less than 90 minutes. It would be easier to do when I actually got abroad. But this is a European week. There are Champions League accumulators to put on, results to check. Gordon Strachan was naming his latest Scotland squad. There were, more importantly, reports and reactions to be read from Ibrox. A quick blast on my phone when the plane landed wouldn't hurt. Or cost too much. And no free WiFi in the hotel rooms (apparently the plane travelled back in time as it delivered us to another country) so the tablet would be reserved for public areas only. 15 hours later I was at reception buying WiFi access. 21 hours later I'm writing this blog and waiting for tonight's Champions League games. Turning my back on football's digital overload in 2014?